Together we stand, divided we fall! 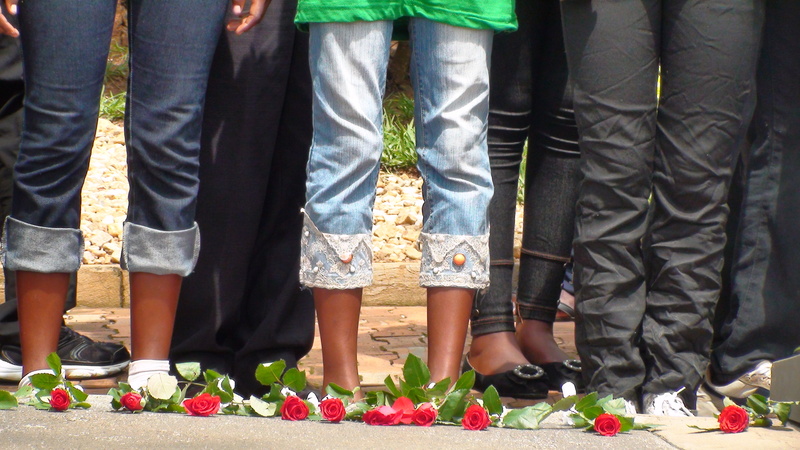 April 7, 2014 marked the beginning of the 20th Commemoration of the Genocide – Kwibuka 20 – a time to remember, unite and renew. (kwibuka – “remember” in Kinyarwanda). 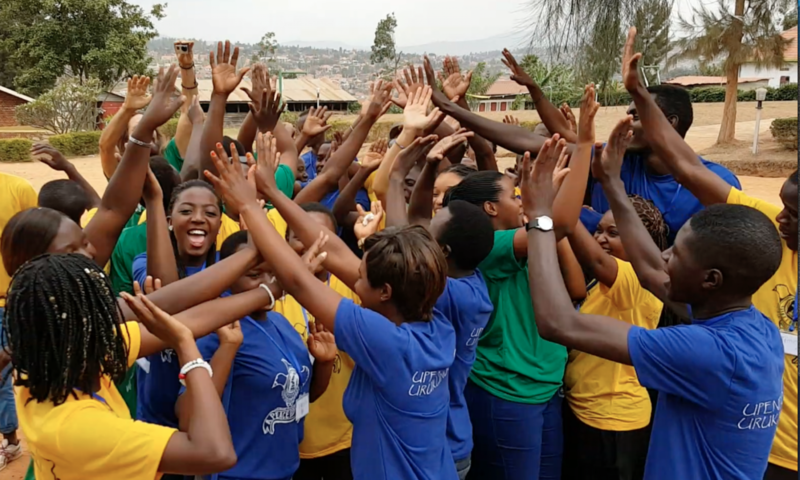 We pray for healing and renewal to continue in Rwanda and for hope to burn bright in the lives of youth determined to be catalysts of peace, love and unity. Plans are well underway for the next peace camp which will be held at a new time – during July’s school break – at a new place (Gashora Girl’s School) – with new participants (a team of Canadian youth). Keep checking our facebook page for more news including exciting updates from our visits to peace clubs during May and June to launch the 10,000 Dreams Challenge and the new youth newspaper, Voice of Peace!! 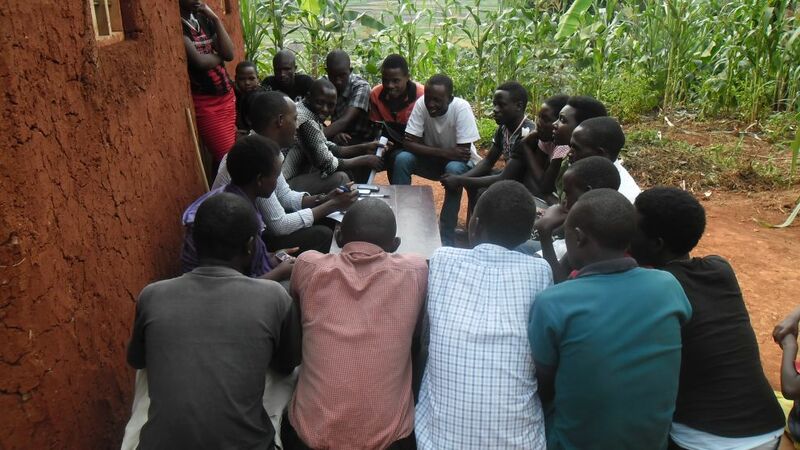 Pictured: Mugisha Prince (A Peace of Life youth coordinator for Rwanda) visits with Imirasire (Sun Rays), one of the newest peace clubs, to hear of their plans for the 10,000 Dreams Challenge. The peace club was started by Petite, a participant and staff at the 2013 peace camp. Good luck to all peace clubs with your 2014 plans! Persevere in hope and remain strong and courageous in God’s love for all people! mwiriwe neza nyakubahwa amazina yanjye nitwa uzabumwana hussein mfite imyaka 20 nkaba naravutse muri jonocide yakorewe abatutsi mfite imubyeyi umwe nka nararangije icyiciro cya troncme uyumwaka nkaba narashinze umushinga wa entranment mubyo dukora tukaba twibanda gukora ama film nyarwanda tukaba twifuza kugera kurwego mpuza mahanga nkatwe urubyiruko twifuje ko mwadutera inkunga muri byo bikorwa dukora mururwo rubyiruko tugizwe nabantu 34 baba nyamuryango murakoze dutegereje igisubizo cyanyu.